Having a security system in place is a big step towards ensuring that your home or office is safe from break-ins. But this is not all that it will take. Before you can claim to be totally safe, there are a number of routines and petty habits that you need to get rid of. When you report a break-in, you may notice that the first question would be whether there are signs of forced entry. Keeping a spare key under the rug or the potted plant seems a little too obvious. It may save you the inconvenience of being locked out when you lose or misplace your keys but these are the first places that an intruder would look. Forced entry is usually too much drama, and a spare key offers the intruder an easier alternative into your premises. If you must leave a spare key, find someone that you can trust to hold it for you. This is better than hiding it where it can be easily found. If your home or office has more than one level, it is likely that you will leave the windows or doors open on the second and third levels. This is because most people leave in a rush and forget to check the upper levels. If the first floor is locked up and the second floor’s windows are open, an intruder could easily get in through a second floor window. This means that there would be no point of claiming to have secured the premises if you only secured the first floor. Make sure that all the possible entry points in the building are locked. 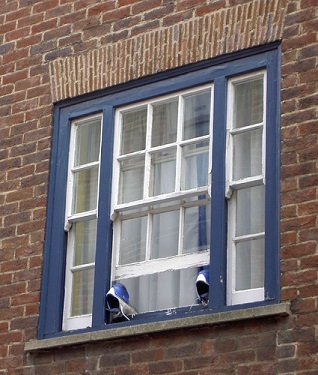 This will require you to check all the windows in the building since burglars have been known to get creative when they need to invade a building. A lot of people also get into trouble because they divulge too much when it comes to their security systems. You can offer advice to your friends and colleagues when they ask about your security system, but you do not have to give them all the details. For example, they do not have to know that you never turn on your alarm at night or when going to the grocery store. This information is the kind that could get your home invaded. Avoid telling people too much about your routine on social media as well. They do not have to know when you leave the house or when you spend the night out with your friends. Generally, keep as much information to yourself and avoid solid routines that make you predictable to strangers. This seems obvious but you will be surprised by the number of people who have sophisticated security systems and yet get robbed because they did not turn on the alarm. Your alarm not only deters the intruders but also alerts your security company and the local police of an invasion in progress. If you do not turn the alarm on, you will have left your premises with no defense in the event of a break in. You have to make this a permanent part of the routine in terms of things that you always do before you leave the house or the office. Taking full control of your security implies paying attention to a lot of things. One mistake could jeopardize even the strongest security system, meaning that in some cases, the best option is to find and hire security guards in Montreal to complement your security system. They are often well trained and able to enforce strict security protocols that will keep your buildings safe and secure at all times. 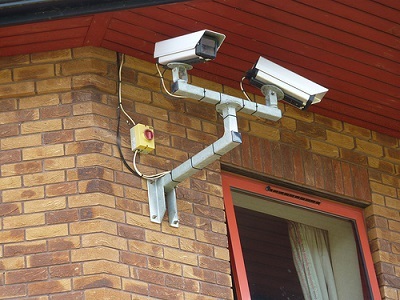 Are Cameras Really That Effective In Keeping Your Property Safe? Posted on: In: Blog | Comments Off on Are Cameras Really That Effective In Keeping Your Property Safe? For the past few years, people have increasingly been relying on technology in their security systems. This explains the popularity of CCTV cameras when it comes to designing a security system for your home or business. Cameras however, come in various designs, installation options and price ranges, although the general consensus would be that they add on a lot of expenses to your security budget. And considering that cutting costs is one important aspect for most people, a common question today is whether you really need those cameras in order to ensure security around your premises. The only way to answer this is by finding out how the cameras work within a security system. This usually depends on the type of camera used in your security system. These are considerably high end, and in most cases, they are located outside the building. While high definition cameras may give you the privilege of identifying any intruders due to the high quality images, they are also likely to be spotted and destroyed easily. And considering how much they cost, this will be a major loss to you. Visible cameras are very effective in deterring criminals, but they do not have to be so expensive. Use dummies instead, they will be equally discouraging to the intruders. These can be as expensive as you want them to be. This is because they will be doing most of the work in terms of capturing the images of your intruders. Invisible cameras are more effective in keeping your premises safe. This is because they will not be dodged or damaged by the intruders. Make sure you get these in high quality so that you can actually use the captured footage as evidence to identify an intruder. You must however have these installed in strategic positions to avoid having many blind spots, especially at entrances and exits. If your surveillance system records the footage and transfers it into an accessible drive, then you should be able to find evidence in the event of a break in. The problem here however is that the drive could be destroyed physically. If the intruders know how to access your security room, they may just as easily wipe out the drives after they get in. This means that this can only be effective if you have an automated backup system for the recorded footage. Ideally, you could have some of the footage uploaded to a cloud account on an external server that is secure. This system is considered modern and usually very effective because it enables your cameras to transmit live feeds to any connected gadgets and devices, including your phone or laptop and the desktops at a security company nearby. This means that you will be able to monitor the security of your home or office in real time. Since this uses the internet, however, it is highly likely that it can be hacked into easily. You could be giving a lot of random hackers a direct access to your private business. 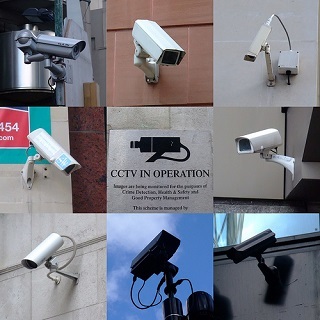 You may thus want to limit this system to the main cameras outside the building since you do not want strangers watching and listening in on your private meetings and conversations at work or at home. Each alternative in this case has its own set of pros and cons regarding how it enhances your security. This means that you may need to speak with a security consultant in Montreal before you make a good choice regarding your security system. Custom combinations can be easily tailored to suit your specific needs, thus ensuring that all the cameras you invest in will actually help create a secure environment for you. Running a business is tough enough without having to worry about security, and yet you cannot run that business if you do not address the security issue effectively. No matter how impressive your business idea is, you cannot succeed unless safety and security are considered in the plan. Other than the usual burglars and robbers, commercial buildings also face a risk of malicious competitors and intellectual property thieves who would be looking for opportunities to gain access into your business premises behind your back. Here are some small products that you are likely to overlook when planning for an effective security system. Although small and usually not even noticed, these items play a great role in the security of any commercial building. Outside the office, people appreciate surveillance cameras as important components of the security system. On the inside, however, you are likely to see these cameras as a violation of your privacy and generally an intrusion. Most business owners even avoid installing cameras in their own offices. This means that the entire office building may be safe except for the manager’s office. The irony here is that if there are any sensitive documents on the premises, they are most likely to be at the business manager’s office. No matter how annoying these cameras may seem, they are your only chance of identifying an intruder in the event of a break in. Commercial buildings that have cameras on the inside as well pose too much of a threat thus deterring intruders. And if your building has many other occupants other than your business, you can only be able to point out the intruder if you have cameras in your offices. The ones on the outside will have too many people from the other offices in the building, thus making it hard to identify the real culprit. Office cabinets and drawers are usually lockable, regardless of their design. This is because they are designed as storage units for potentially valuable documents and other items within the office. The problem here however is that most people barely notice that they have locks, and when they do the keys are often presumed to be missing. Locking these drawers and cabinets can help you protect your sensitive documents or items that could be targeted by intruders. This means that your drawers and cabinets need to have functional locks and available keys at all times. These may also be considered as too much work, especially in environments where all employees can go anywhere within the premises. However, the threat here is external. This means that you will need to use these if you intend to limit the access of your business premises to yourself and your employees. Make sure you have access locks as a part of your security system in order to enjoy some security even after working hours. Every commercial building probably has an exit door with a push bar or a panic bar. These bars ensure that the door is only used for exit, and it always triggers an alarm when used. Without the push bar, your office could be accessible to anyone from the outside. And without the panic bar, an intruder could exit your offices stealthily without alerting the security team. This means that both bars are highly significant to your office’s security. Each one of these products plays a great role in keeping an office safe. Thus, when looking into commercial building security in Montreal, these are just some of the things you must look out for.